Pearl Farm Beach Resort is a famous world-class beach resort in Samal Island of Davao City. It is on a secluded cove in the Island of Samal with white sandy beaches and flourishing flora and fauna. Today, the Pearl Farm Beach Resort has 73 elegant guestrooms, suites, cottages, and villas. In fact, they created the rooms and villas above the sea with a deep blue water view of Davao Gulf. Each room contains air condition, cable television, telephone, coffee/tea maker, mini bar, and room safe. All private toilets and baths have hair-dryers. The facilities include outdoor pools, souvenir gift shops, health spa, cocktail bar, tennis, badminton and basketball courts. A restaurant that serves delicious Filipino and international cuisines seafood specialties. Moreover, the Pearl Farm Beach Resort has a multi-function rooms and conference rooms that can accommodate up to 70 persons. The Malipano Villas are three-storey villas. The design of these villas are from Maranao and Samal ethnic and the traditional Philippine native hat design. Further, the Villas are three-octagonal in shape with wide verandas. The reception areas, guest suites, and the dining area, are all around the cantilevered deck. The Samal Suites are two-storey Muslim inspired cottages. 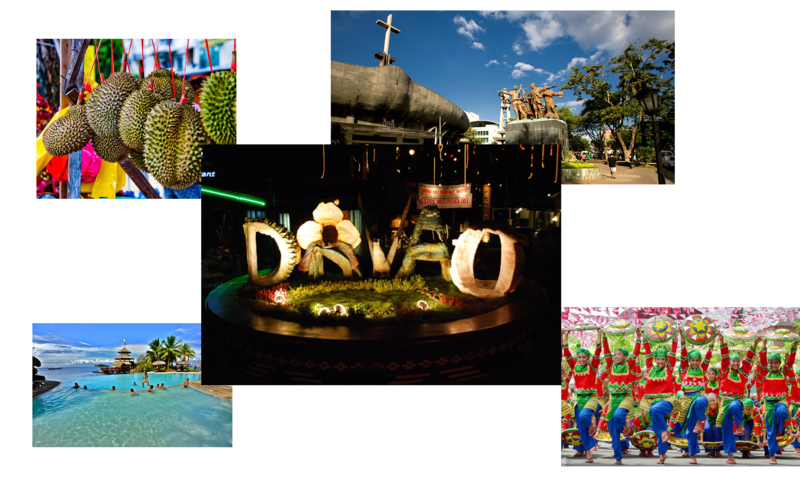 They named and decorated these according to the different ethnic tribes of Mindanao. There are six Samal executive rooms, consisting of two floors. Actually, the living room allows you to convert it into a children’s bedroom and ideal for families with 3 children. You can find the second toilet and bath facilities on the lower level with a private stair that leads to the sea. The Mandaya Houses that consist of 20 de luxe rooms. The houses contain air condition, mini-bars, hairdryers, safety deposit boxes, and cable televisions. For this, two rooms may join together to form a single unit. Not only that, you can find a small packet garden at the back of each room. On the hillside of the island overlooking the Davao Gulf, you can find the Hilltop Rooms or Balay Houses, surrounded with lush forest. The Balay Houses which consist of 17 Standard Rooms. Above all, the Balay houses offer the best view of the Davao Gulf and the city. All rooms have air condition, mini-bar facilities, hot and cold showers, cable televisions and telephones. For picnics and social events, the Pearl Farm Beach Resort has a Balay Garden. In addition, Malipano Gazebo is a perfect venue for special events, parties, social and business functions. It allows you to see the natural beauty of the sea and the mountain ranges of Samal. Sports enthusiasts and first-timers alike can enjoy the surfing, water polo and jet-skiing. Additionally, you can have enjoyable moments with water-skiing, banana boat rides, scuba diving, sea-kayaking and underwater photography. What more to see at Pearl Farm Beach Resort? For the food lovers, the Maranao Restaurant features delicious Filipino and continental cuisine of fresh seafood specialties and buffets. Furthermore, a wide assortment of fruits such as bananas, durian, santol, papaya, green mandarin, mangosteen and mangoes are served. The Parola Bar offers great food, music and different alcoholic drinks. Ylang Ylang Spa is one of the great spots in Pearl Farm. It is situated within a garden of vegetation with a man-made cascading waterfall. The Spa offers a wide range of beauty and soothing health treatments. In addition, Ylang Ylang is a popular flower that is endemic to the southeast Asian region. Its fragrance is among the most intense of all floral aromas. Butik is a souvenir gift shop that offers local handicrafts, native outfits and trendy beachwear. Mandaya Weaving Center which is nearby the Maranao Restaurant. Notably, Mandaya tribeswomen skillfully weave their traditionally exotic and colorful handbags, mats, clothing and other native ornaments. Game Room at the Activity Center in Mandaya Area. In here, you’ll find board games, billiards, fooze ball, air hockey and other games to enjoy. At last, Malipano Island that lies a few hundred meters off the coast of Pearl Farm. Indeed, it is the site of the famous Malipano Island Villas.